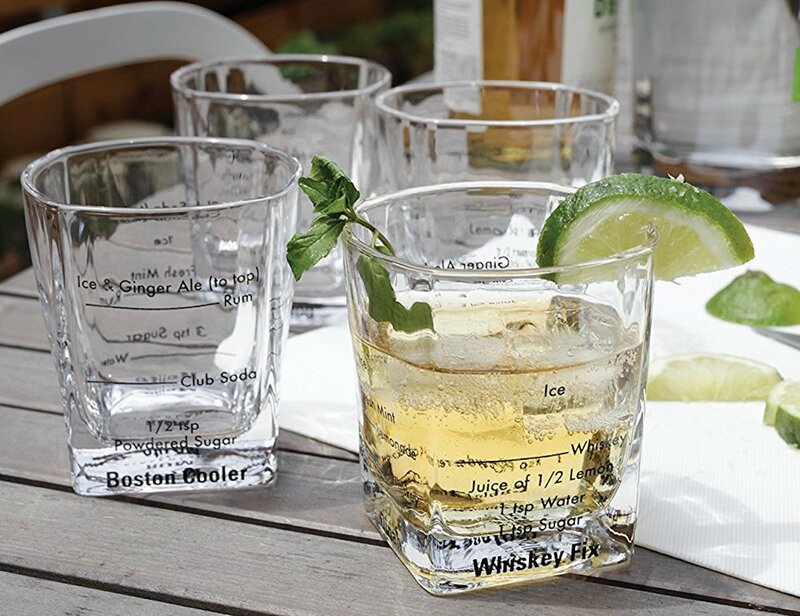 Quickly become a bartender at your next party with the Kikkerland Bartending Glasses Set, featuring a set of four glasses with instructions written on the side. 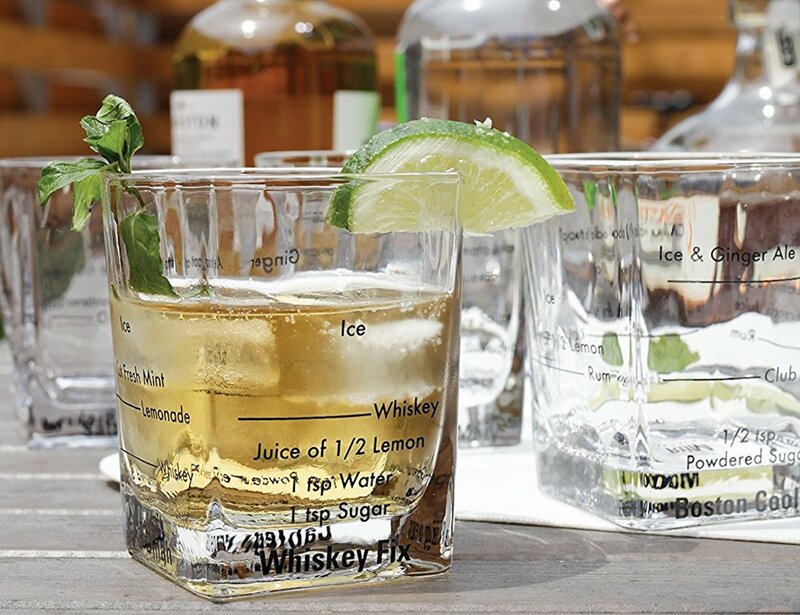 Quickly become a bartender at your next party with the Kikkerland Bartending Glasses Set. 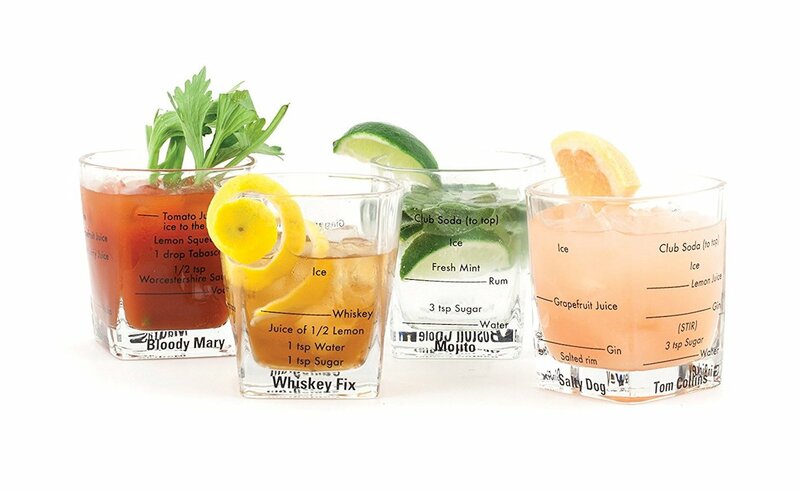 Featuring a set of four glasses, the Bartending Set makes it easy for you to learn how to make the perfect drink. 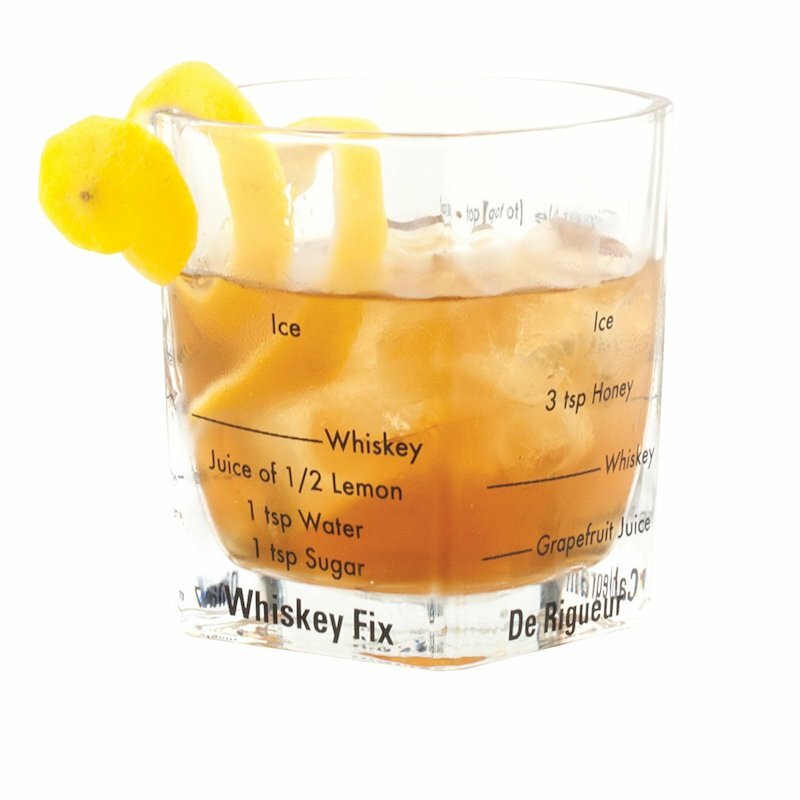 You don’t have to guess the quantities or ingredients of your favorite cocktails when you use these glasses. 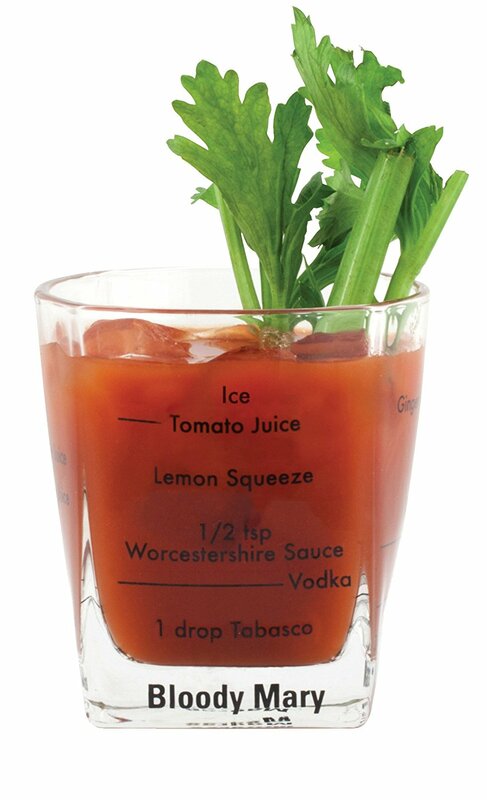 In fact, each glass comes with instructions written on the side, so all you need is the right stuff. 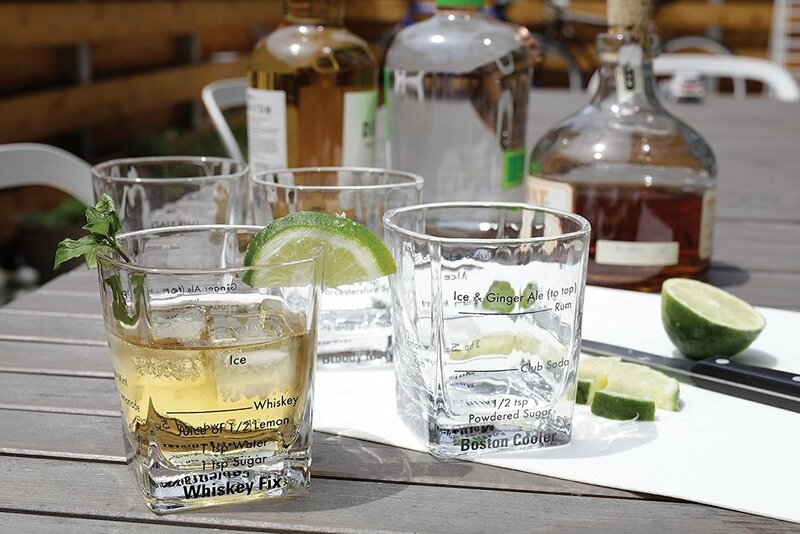 With each glass featuring a different spirit, you can make four different cocktails. 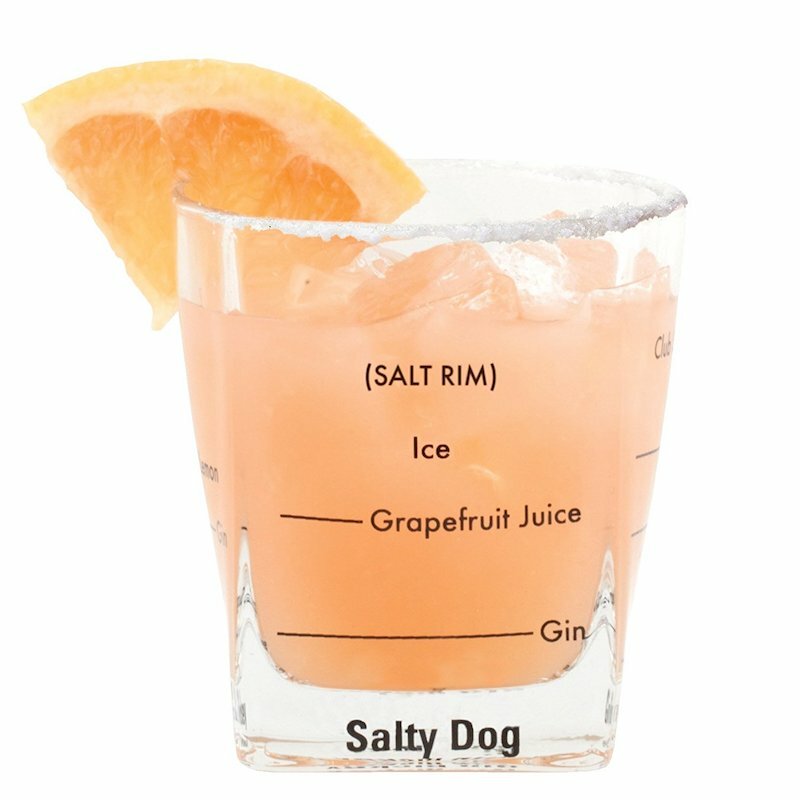 The cocktails include a Bloody Mary, Mojito, Salty Dog and Whiskey Fix. 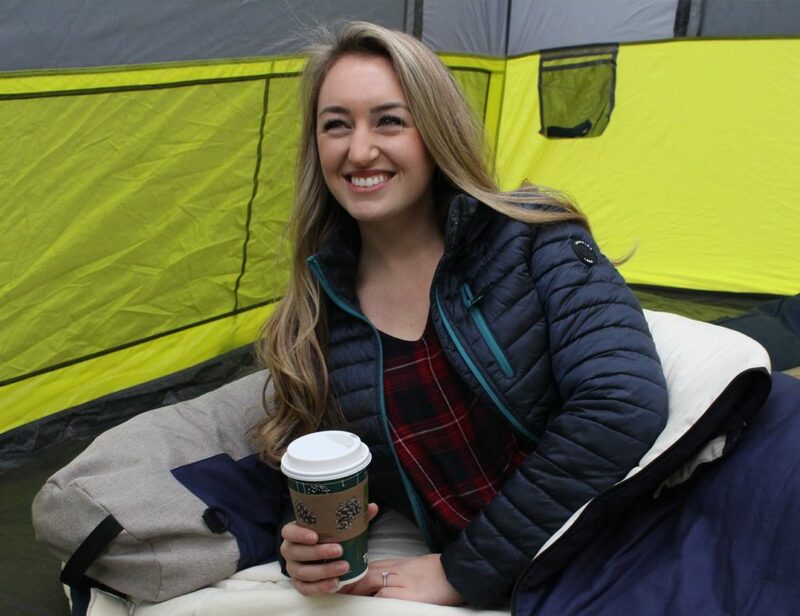 Likewise, you can make up to 16 unique drinks in total. Additionally, each glass holds 8 ounces of fluid. 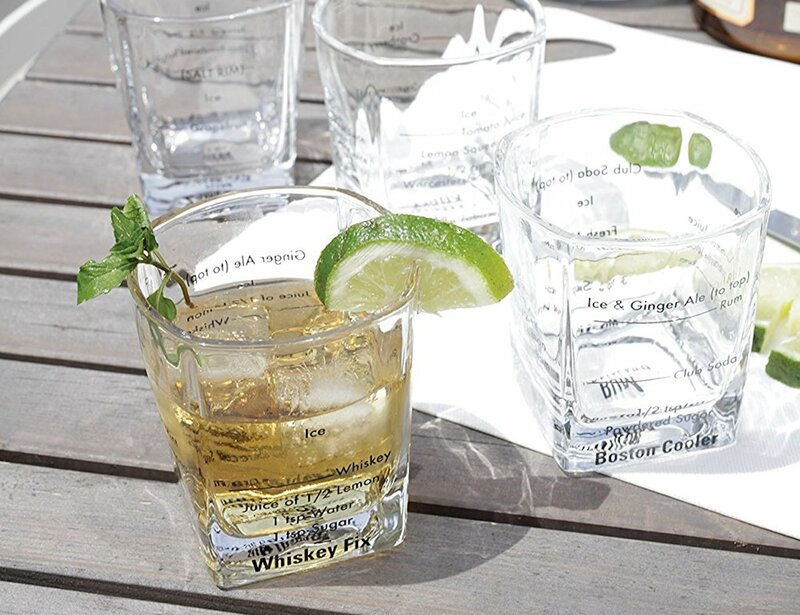 The glasses have a square shape with rounded sides, making them ideal for your favorite beverages.